The Manchester derby is one of the most eagerly anticipated games of the English football season in the top flight. It has always been a real clash of the titans in the Premier League where quality players are on show in front of a huge worldwide audience. City put an end to United’s title hopes last season and this weekend, they have done it again, a 3-1 loss to their city rivals puts them 12 points behind the reigning champions with a mountain to climb to try and get back into the title race. David Silva opened the scoring as the league leaders made a blistering start at the Etihad Stadium and Sergio Aguero doubled the lead before the break. The Red Devils, who had to play without Pogba, found the net through Anthony Martial after substitute Romelu Lukaku won a penalty but Ilkay Gundogan wrapped up the game with a killer third goal for City, sealing the derby victory for the Sky Blues. United’s chances always looked slim from the moment Paul Pogba was declared unfit for the derby after he sustained an injury following the victory over Juventus on Wednesday in the Champions League. The Frenchman isn’t a fan favourite but Pogba is one the most influential players at Old Trafford. In his absence, the disconnect between defence and attack becomes glaringly obvious for all to see. Especially when playing against City who have blistering pace through the squad, from front to the back. Where the Frenchman would have upheld the defence, it was manned shabbily, thereby leaving them vulnerable and as it proved, beatable. Once upon a time, Jose Mourinho knew precisely which players were fit for his best starting XI, but those powers seem to have left the Portuguese manager during Manchester United’s poor start to the season. Mourinho has failed miserably in finding his strongest side this season, not helped by so many of his players being out of form. 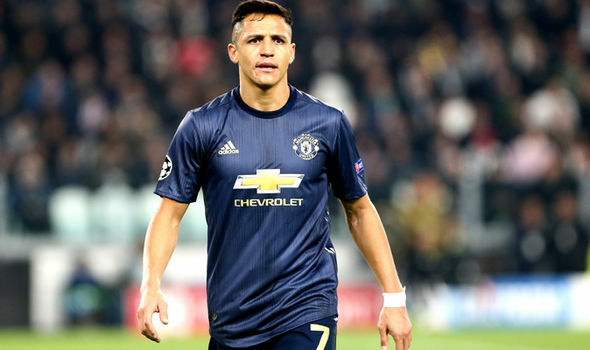 For instance, does Alexis Sanchez deserve a place at the moment? Not really, but the Chilean would be one of the first names on the sheet when he is on form. Mourinho is still a long way from understanding the Red Devil squad and how best to deploy his men. The message should be to attack, invent, create, and take more attacking action rather than lifelessly pass the ball around with no direction in mind. United have become more reactive and less proactive, a shadow of its former self. Mourinho has it all to do to rescue this league season for United, and it’s only November, while City go charging on towards another inevitable title win.